Sprinkle 1 tablespoon olives on each of 4 rectangles. 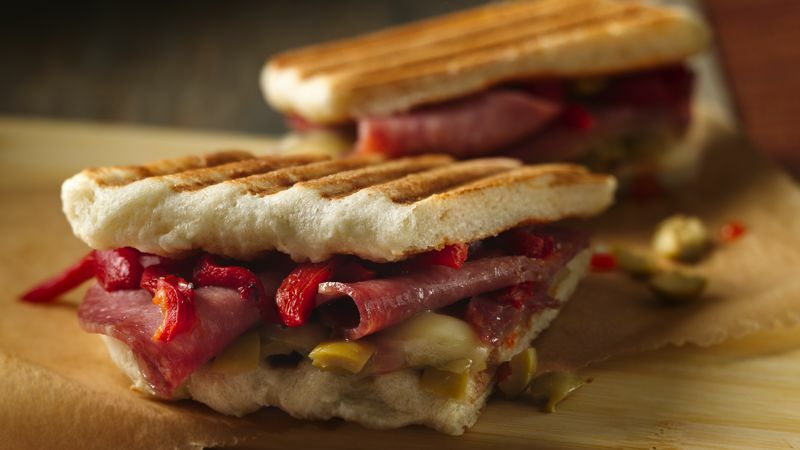 Top each with 1 slice cheese and one-fourth each of the salami and roasted peppers. Place remaining rectangles on top. Place 2 sandwiches on grill; close grill. Cook 2 to 3 minutes or until cheese is melted. Repeat with remaining sandwiches. Any olive tapenade, drained, can be substituted for the chopped olives for a great flavor combination.